GARDEN GAMES TELEPHONE WIRE STYLE FLEXIBLE EASIER GRIP TWISTING-TOSSING FUN RING. 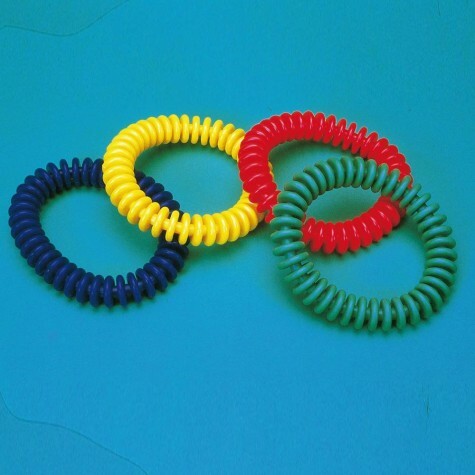 These telephone wire style quoits have a convoluted ring offering greater flexibility and easier grip. The ring is ideal for twisting and tossing. Quoit available in red, blue, green and yellow singly. Please Note: "Item Sold as Single".